Obviously my first concern when I was invited was ‘WTF am I gonna wear’ so I hit up my good friends at Farfetch who kindly kitted me out with this Off-White cross-body bag. Perfect for running around Paris and keeping my hands free to take all the pics! I really love how Virgil and Off-White have really shown people that streetwear and ‘athleisure’ can be high fashion. It’s a great time for me as this has always been my look! Trainers, t shirts etc. It’s cool to see that this is now the in look. 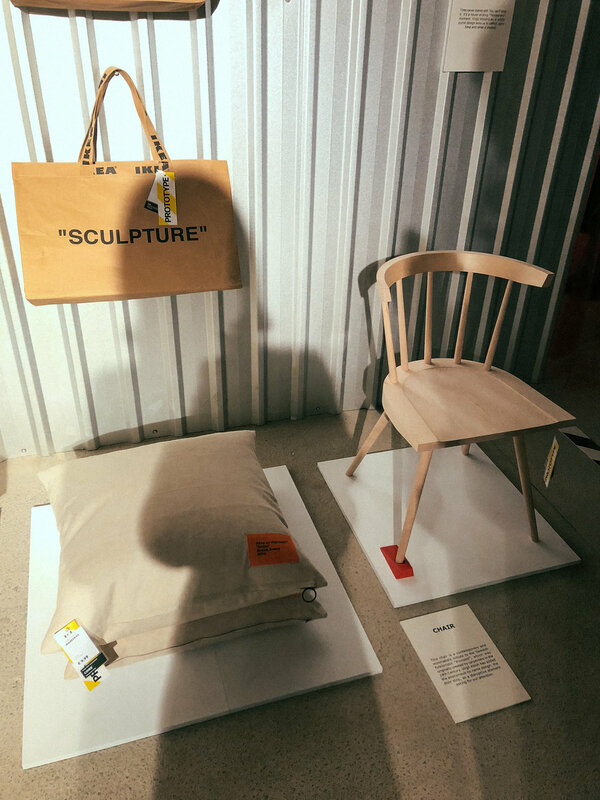 The Virgil Abloh x Ikea party was everything you’d expect. the coolest Parisian kids all clambering to get a limited edition rug. It’s quite a sight to see a bunch of hypebeasts with their rugs all rolled up leaning against the wall while they drink smoke and party. I had so much fun at the event, I really loved how the rugs were displayed and if I didn’t have to get the Eurostar the next day I would have definitely picked up the '“BLUE” one. Virgil himself was at the event, alongside Henrik Most (Creative lead ta Ikea) whom we got to chat to who was super sweet and funny! We also got a sneaky preview of some of the main collection pieces that will be out next year..
Of course we had to take a little stroll around Montmatre before we left.. I got to see Sacre Coeur for the first time. It’s amazing! Paris, it was short and sweet. Thanks to Farfetch for the bag hook up and Ikea for the invite. What a trip!